The most recent Babson Survey Research Group report. Findings are based on survey responses from over 3000 faculty. On October 8 2015, a bill was introduced in Congress to support open textbook pilot programs at colleges and universities. This fact sheet provides information on the bill, its history, and significance. New exemptions to DRM circumvention laws! An explanatory guide on Open Educational Resources including myths, evaluation, and learning and teaching considerations. A detailed tutorial covering OER, copyright, and Creative Commons licensing from Algonquin College in Ottawa, Canada. A collection of essays on open education compiled by David Wiley. Dr. Wiley, an expert in the field of open education, is the Chief Academic Officer of Lumen Learning and adjunct faculty at BYU. This Wikibook on Open Education continues to evolve as the community contributes to it. The resource provides information on terminology, software, case studies, and key issues in open education. Writing an Open Textbook: Is it Worth It? Tony Bates, an expert in open and distance education chronicles his experience in creating an open textbook and determines that it was well worth the effort. A project created and overseen by members of the three higher education systems in California (CCC, CSU, UC), "Cool 4 ED" provides access to free and open textbooks for use in lower division courses. While still in production, when completed, COOL4Ed will contain peer-reviewed books textbooks for 50 courses! 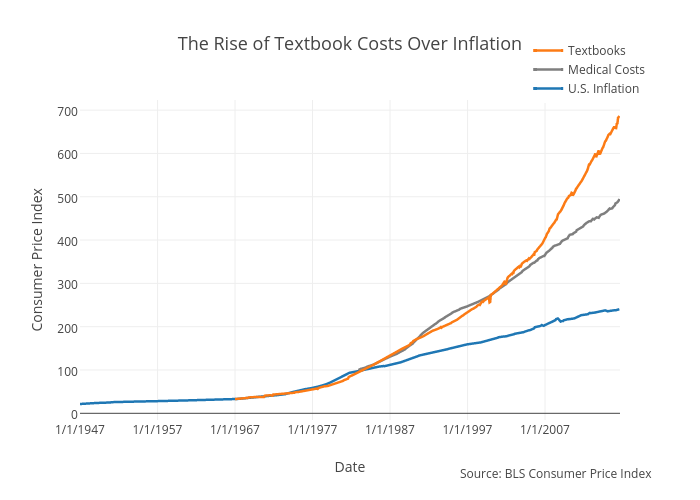 Open textbooks are on the rise, with more titles being introduced each year, many of them subject to peer review. To learn more about the open textbook publishing model, please see 7 Things You Should Know About Open Textbook Publishing. A curated collection of over 170 high quality open textbooks, many of which are peer-reviewed. A growing collection of peer-reviewed textbooks in the sciences, social sciences, and humanities. Openstax is a nonprofit initiative of Rice University. Currently, SUNY Textbooks offers 22 titles, in a number of subjects, authored and reviewed by State University of New York faculty and published by SUNY libraries. A small but growing collection of open educational resources authored by faculty at GVSU and hosted by the university's open-access repository, ScholarWorks@GVSU. A book series comprising peer-reviewed collections of essays on issues specific to writing. Hosted by the Wikimedia foundation, Wikibooks is an open content textbook collection spanning a variety of reading levels and disciplines. UK publishing imprint that provides free online access and low cost formatted and print access to titles with a special emphasis on humanities, digital humanities, and social sciences. While not an open resource, Boundless provides low-cost customizable textbooks and supporting content, including assessment tools and analytics, in a wide array of disciplines. The cost is $30/student and student access to all materials never expires. Open access to a multitude of digital objects and collections in a wide array of formats including books, videos, audio recordings, and web pages. Open Library, an initiative of the Internet Archive, is "an open, editable library catalog, building towards a web page for every book ever published." The resource is entirely open--from software to data to documentation. Individuals are encouraged to contribute! Project Gutenberg offers over 46,000 free ebooks in epub and kindle formats for download or to read them online. There are many classic novels in the collection. An international, scholar-led open access publishing collective with a focus on humanities disciplines. 8,007,019 items from libraries, archives, and museums, as well as numerous apps to enrich the discoverability and use of the collections. Administered by the CSU, MERLOT houses tens of thousands of learning objects and tools for building your own resources. The collection includes books, quizzes, exercises, labs, assessments, and more. A robust library of modules and collections of learning objects. Affiliated with OpenStax textbooks. View video modules in a wide array of disciplines. It is necessary to create a free account to use Khan Academy. "The Open Learning Initiative (OLI) is a grant-funded group at Carnegie Mellon University, offering innovative online courses to anyone who wants to learn or teach. Our aim is to create high-quality courses and contribute original research to improve learning and transform higher education." The Harvard Open Collections comprises "six subject-specific, web-accessible collections that can support teaching and learning around the world. Today, OCP collections account for over 2.3 million digitized pages, including more than 225,000 manuscript pages." Open access publisher of peer-reviewed academic journals, books and data. Ubiquity's publications include titles in disciplines less well represented in open access publishing, such as archeology and anthropology. "The Open Library of Humanities (OLH) is a charitable organisation dedicated to publishing open access scholarship with no author-facing article processing charges (APCs). We are funded by an international consortium of libraries who have joined us in our mission to make scholarly publishing fairer, more accessible, and rigorously preserved for the digital future." Both a collection of open access publications and a publishing platform with a focus on social sciences and humanities. Georgetown University Library has curated a list of OER for business disciplines. Look to the right-hand column on the page. A free multimedia art history resource, Smarthistory is now a part of Khan Academy. Smarthistory includes images and videos and is authored by the art history and museum communities. A collection of image, audio, video, and multimedia from NASA archives. Search here to find Flickr photos that have been licensed under a Creative Commons license. Click on the image license link to learn more about the restrictions for an individual image. From this Google Advanced Search page, select the appropriate search parameter from the "usage rights" drop down menu. "The Getty makes available, without charge, all available digital images to which the Getty holds the rights or that are in the public domain to be used for any purpose. No permission is required." A major resource for medical, biomedical, and social history images, both historical and contemporary, Wellcome Images contains over 170 000 images, all available for use under a CC license. Please see the link to learn how to determine which of the digital images in the MET's collection are open access. "NYPL Digital Gallery provides free and open access to over 800,000 images digitized from the The New York Public Library's vast collections, including illuminated manuscripts, historical maps, vintage posters, rare prints, photographs and more." 30+ million digital objects from Europe's cultural institutions. Search results can be limited to those with non-restrictive licenses for reuse. The Smithsonian Freer and Sackler galleries have digitized more than 40,000 images from their collections of Asian art, most of which are available in high-resolution and free of copyright restrictions for noncommercial use. A source for Creative Commons licensed vintage stock photographs. A source for openly licensed stock photographs. The Global Open Data Index tracks national government open data sets to verify that they are accessible to citizens, media and civil society. Provides a catalog of datasets from US Federal, State and local government agencies. Wikidata is a free linked database of structured data gathered through Wikipedia and related projects. Discusses the legal, social and technical aspects of open data. It can be used by anyone but is especially designed for those seeking to open up data. Open Data Commons is the home of a set of legal tools to help you provide and use Open Data.